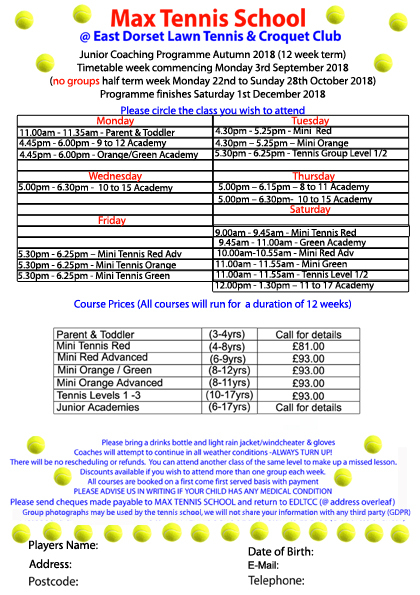 Our junior tennis coaching programme covers an 11 week term with a week’s break for half-term. We offer a range of tennis lessons including Parent & Toddler, Mini Tennis Red, Orange & Green, and Junior Tennis Academies. Non-members are welcome too!